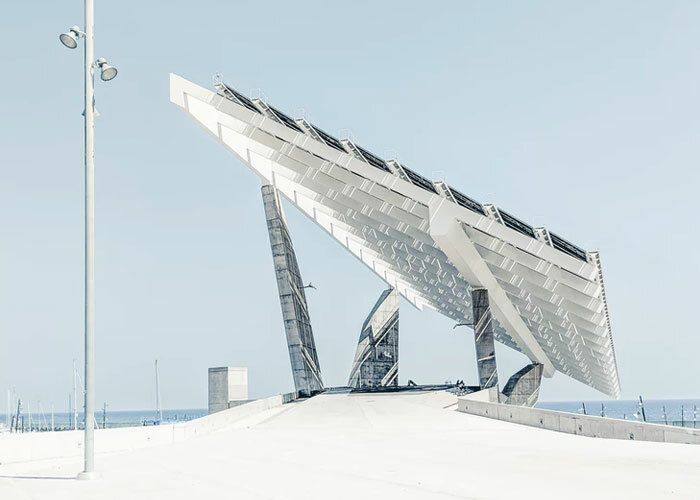 It doesn’t take much to realize that the solar industry is guided by technology, and every year new tech transforms how solar energy is collected, stored, and used. Well, this year is expected to be no different. In 2019, there are several key innovations and trends expected to hit the mainstream market. If you work in the solar energy field, then staying up-to-date on the latest hardware is important for installing the best and most efficient systems available for all your customers. Here are some of the things you can expect from the solar energy world this year. What if a corporate client doesn’t want to go solar because they don’t want a large solar system taking up space on their roof? In 2019, you will start hearing talk of clear solar panels that are thin enough to be placed on a building’s windows. With these panels, a building won’t require a solar array, thus maintaining its streamlined aesthetic. Maxim Integrated is a California-based technology company that has been working on improving how solar panels route and generate solar power via its innovative cell optimization strategy. The company has developed a piece of technology that optimizes a solar panel at the cell level. It essentially re-routes power through the remaining cells when one or more are obstructed. This helps ensure the system is operating as efficiently as possible, even on cloudy days. Split-cell solar modules are set to enter the solar market in 2019, and this can have a big impact for installations. Split-cell solar modules are half the size of standard modules, yet they feature a new type of silicon chip architecture that improves efficiency and module longevity and supports solar thermal cycling. Tesla has been promising to deliver solar roof tiles to the market for a while now, and in 2019, it looks as if this will finally happen. Tesla’s new roof tiles are stronger than standard roofing tiles, and they’re designed to blend in with typical roof aesthetics. In what may be the best news of all, they are also guaranteed for the life of your client’s home. Your clients are probably already familiar with “skins.” These are the vinyl stick-ons for tech products like those for laptops, smartphones, tablets, and iPods. But in 2019, the Boston-based design firm, Sistine Solar, will be introducing skins for rooftop solar panels. The skins can either draw attention to a home or minimize the look of the panels. Like the original skins, these ones stick right to the surface of the solar panels without obstructing their ability to collect or output energy. Another highly anticipated type of solar panel expected to make an impact in the market this year are bifacial solar panels. Bifacial solar panels can absorb light from both sides instead of just the usual single side. With this type of solar panel installed in the proper place, it can absorb full sunlight throughout the day as the sun moves from east to west. It can also absorb light from the sun on one side, and light cast by reflective objects on the other. This new technology will therefore dramatically increase the power output of each panel. 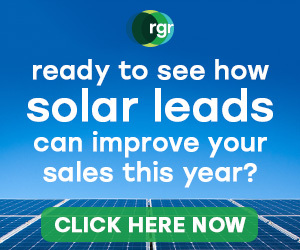 If you’re a solar company interested in purchasing high quality solar leads, contact RGR Marketing today. We can provide you with verified leads that are validated and tailored to your specific demographics and requirements.